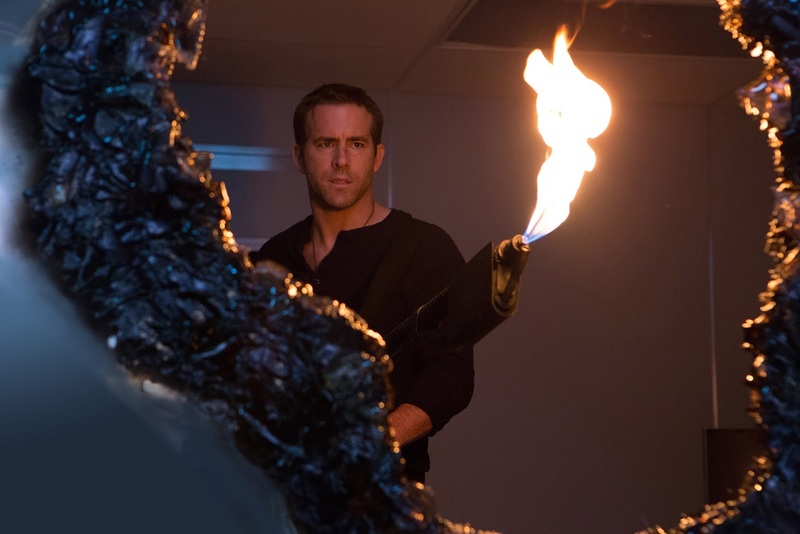 A science fiction thriller that emphasizes routine action scenes and gradually discards the science elements, Self/less enjoys its moments but lacks the ambition needed to pursue more original avenues. 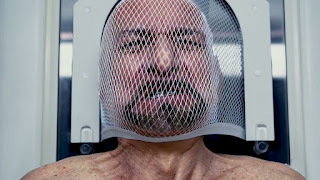 Damon Hayes (Ben Kingsley) is a wealthy real estate tycoon operating in New York City. Along with his long-time business partner Martin (Victor Garber), Hayes has a lock on every big deal, and ruthlessly outmanoeuvres his opponents. But Damon is also very sick, close to death, and on very bad terms with his activist daughter Claire (Michelle Dockery). He is placed in contact with the youthful and mysterious Professor Albright (Matthew Goode), who promises Damon eternal life. For a very large fee, Albright can transfer Damon's brain into an artificially created young man's body. Damon agrees, the procedure seems to go well, and Damon goes through rehab to get used to functioning in the body of a fit man (Ryan Reynolds). He moves to New Orleans to start a new life, befriends Anton (Derek Luke) and starts to enjoy the party privileges of a being very wealthy and eligible man. But troublesome flashes of brain-generated imagery persist, despite Albright prescribing pills to reduce their occurrence. Damon starts to investigate what his brain is trying to tell him, leading to a dangerous surprise about his new body involving grieving widow Claire (Natalie Martinez) and her once very sick daughter. Self/less is not a cradle of originality. The science fiction themes related to body regeneration, the use of dead victims for nefarious purposes, and memory fragments surviving a supposedly clean slate have been well covered in many other films. Back in 1978, Coma explored the exploitation of human bodies for profit, as did Extreme Measures in 1996. The role of Professor Albright as the genius scientist breaking all moral rules in the name of scientific progress is particularly clichéd, and channels characters like Michael Drucker from the 2000 Schwarzenegger film The 6th Day. Nevertheless, Self/less is a serviceable movie, delivered with a quality shine by director Tarsem Singh. The opening 30 minutes are more engaging as Damian grapples with his mortality and explores what the dark corners of science can offer. 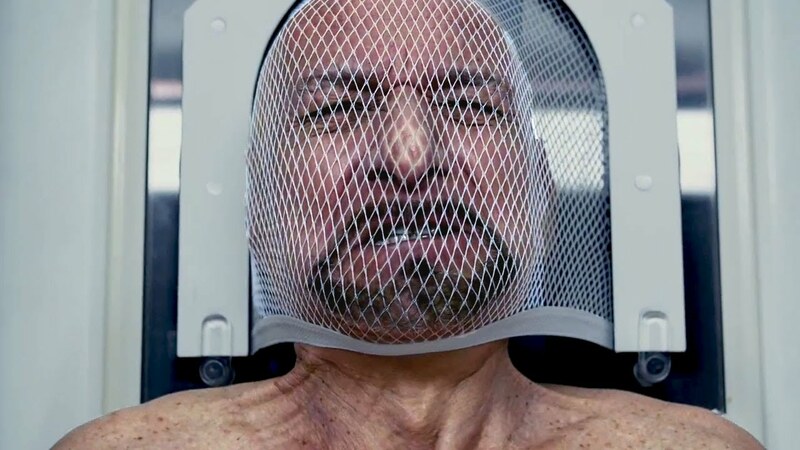 Ben Kingsley brings his unmistakable solemnity to the role of a lonely billionaire with a massive ego, weighing surrender to disease against an expensive leap into an unknown future pregnant with potentially huge returns. His relationship with daughter Claire is underdeveloped but does add a touch of human vulnerability to the character, and provides him with a failure worth remedying should he be afforded more time. But while the film sets up the opportunity to explore issues such as immortality and the potential for high achievers to use their bonus time either wisely or otherwise, the script (by David and Àlex Pastor) subsequently steers clear of more cerebral undertakings, and settles down in rather familiar thriller territory. The action elements are at least well constructed, Tarsem building tension, deploying relatively rational editing, and using Reynolds' charisma to keep the film reasonably grounded. He even finds a somewhat clever twist for the climax of an otherwise routine car chase shoot-out. The cast is as average as the material. Reynolds is adequate but is never quite able to project the elderly Damian. Goode cannot do much with Professor Albright other than the stereotype of a scientist convincing himself that his god-like tendencies are all for the betterment of humankind. 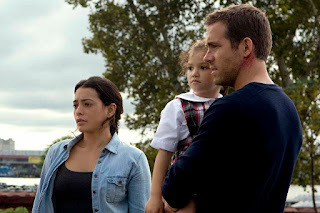 In contrast Natalie Martinez brings edge and more steeliness than usual to the role of the puzzled widow who suddenly has to confront a new reality. Self/less borrows most of its pieces from other films, but at least makes some of them a bit better.